Staff Selection Commission (SSC) Multi Tasking (Non-Technical) Staff Examination 2019 Notification Out Now.The can ppply online for SSC Multi Tasking (Non-Technical) Staff Examination 2019 to 29 May 2019, as per the dates announced. As per the SSC MTS 2019 Recruitment Notification, candidates can complete their online fee payment till 31 May 2019 upto 05.00 PM once they have completed their registration till 29 May 2019 up to 05.00 PM. However, in offline mode, fee submission process can be completed till 01 June 2019. As far as SSC MTS 2019 vacancies are concerned, as per media reports, it was expected that SSC will release around 10674 vacancies for various posts under MTS non technical such as Peon, Safaiwala, Jamadar, Junior Gestetner Operator, Chowkidar etc. However, the Commission has not declared the number of vacancies for SSC MTS 2019 Notification till now. 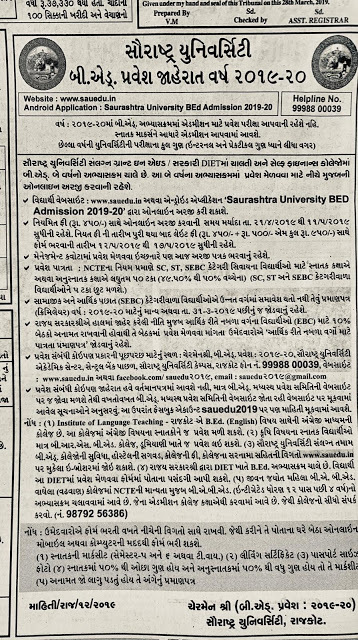 Earlier, Staff Selection Commission (SSC) released the post of Multi Tasking Staff (MTS) Non-Technical in employment newspaper dated 20 April to 26 April 2019. According to the official notification, SSC will conduct the Multi Tasking (Non-Technical) Staff Examination, 2019 in Computer Based Mode for recruitment to the posts of Multi Tasking (NonTechnical) Staff in different Ministries / Departments of Government of India and their Attached and Subordinate Offices during the period from 02 August to 06 September 2019. SSC MTS Exam Paper 1 is a type of online examination while Paper-2 is a descriptive paper in English or any other language. Candidates who will qualify in Paper I Paper-III is a skill test that needs to be taken as per candidate's convenience. Eligible candidates can apply in the scheduled format on or before 22 May 2019. Follow the steps for the STEP. Fill the necessary details and complete registration process. After submitting the fee, a confirmation mail / msg will be sent to the candidates.